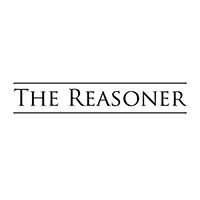 The Centre for Reasoning coordinates multi-disciplinary research relating to reasoning, inference and method. The Centre hosts many conferences, workshops and talks, the Reasoner (an interdisciplinary gazette), and the Reasoning Club. The Centre is run by the Theoretical Reasoning research group of the Philosophy Department, but its members come from across the University's three faculties. The Centre regularly welcomes Visiting Research Fellows from other institutions, both in the UK and abroad.